A maniac driver is on the run after deliberately ramming a £50,000 Mercedes car into the front of a police vehicle – before dramatically speeding off. Cops are hunting for the lunatic who failed to stop and instead reversed a grey Mercedes E220 Sport 20ft backwards into the front of their police car. The driver left two officers, who were in the police vehicle at the time, with neck and back injuries – they have since both been discharged from hospital. Police say they were originally suspicious of the Mercedes as they believed the car was stolen. But as they followed the vehicle, the driver failed to stop for officers and instead rammed into the police car. 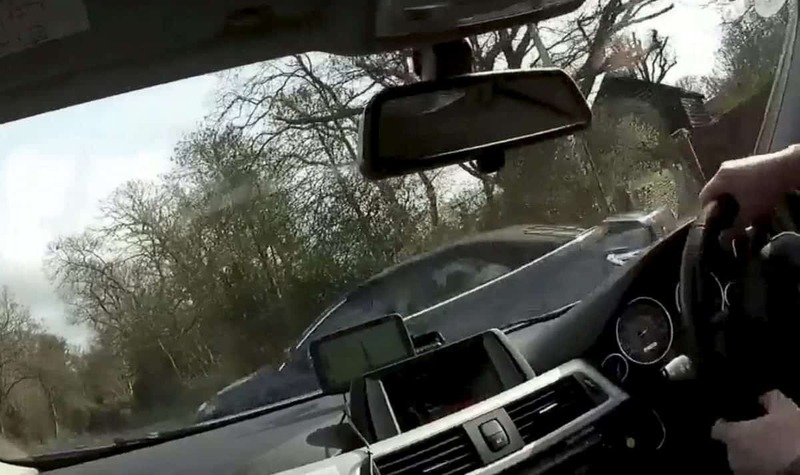 Officers are appealing for dash cam footage after they were involved in the collision in Dedham, Cochester, Essex just before 10.20am last Monday (18/3). 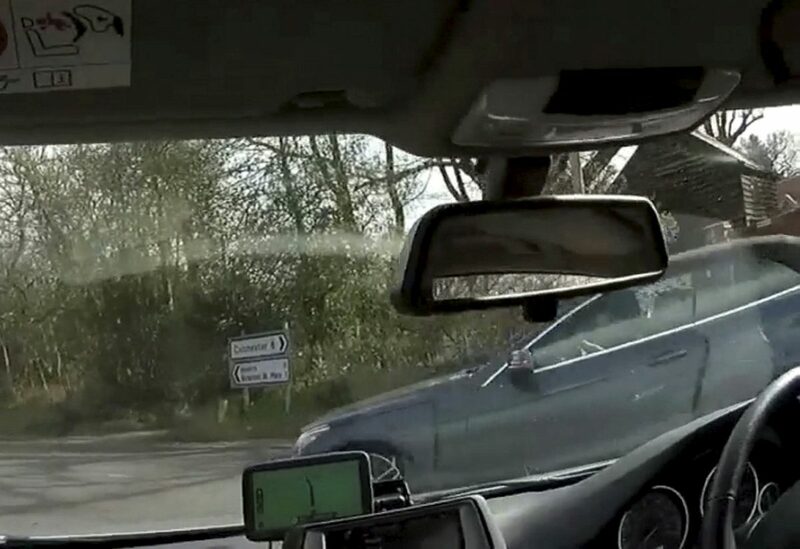 An Essex police spokesperson said: “We believe the driver of the car was a man in his 40s and he had a blonde woman in the passenger seat with him. “As a result of the collision, we believe that the car will have substantial damage to the back of the vehicle”.